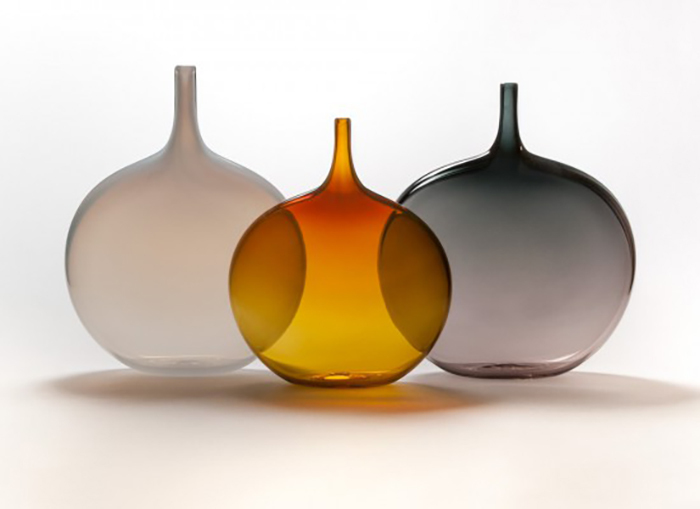 John Geci is a glassblower based near the Penland School of Crafts in Western North Carolina. 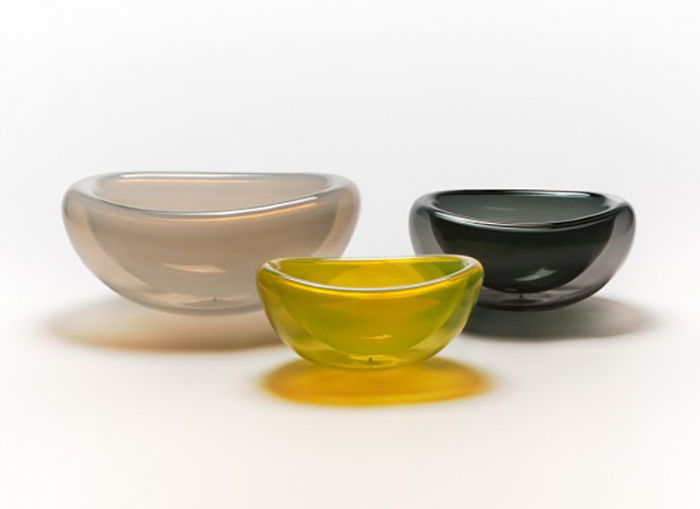 Originally from Litchfield, Connecticut, Geci first realized his interest in glass while studying philosophy at Hartwick College in upstate New York. After graduating in 1994, he traveled to the Penland School to hone his skills in his newfound craft. 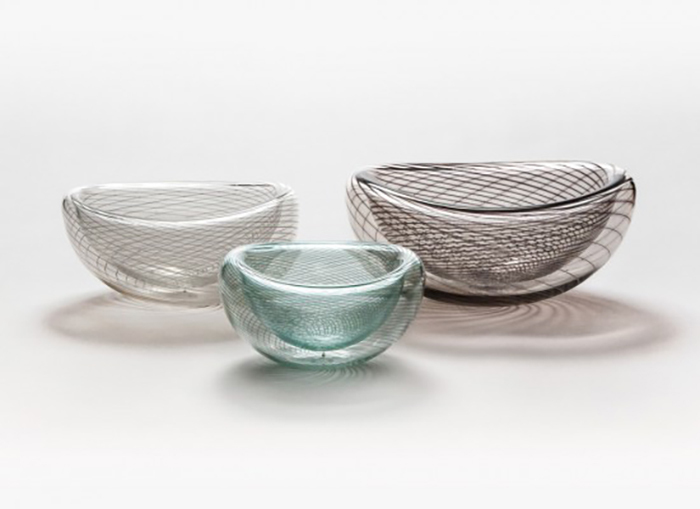 As a student at Penland and a studio assistant to local glassblowers, Geci learned a diverse array of techniques and approaches to the material. 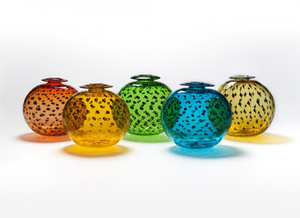 In 2001, he had the opportunity to develop his own line of glassware when he was awarded the first-ever glass residency at the EnergyXchange, an innovative small business incubator emphasizing sustainability. 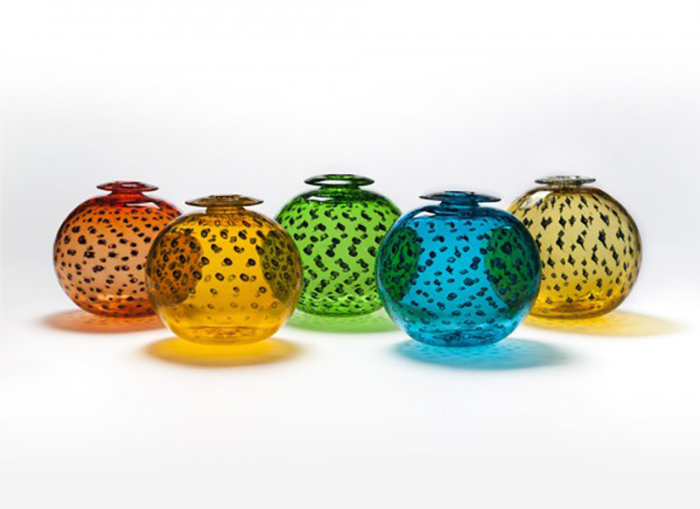 Since then, he has produced his vibrant and distinctive glass vessels as J. Geci Glass. Today, Geci is an active member of the glass community of Western North Carolina. He is the chairperson of the glass jury at the EnergyXchange, a member of the Toe River Arts Council and a regular exhibitor at the American Craft Council shows, the craft fair of the Southern Highlands and many others. His work can be found in galleries across the country. In 2007, he completed work on his own glass shop, a convenient drive down the road from the Xchange and the Penland School. His studio sits atop a hill above his wife, Courtney Martin’s pottery, their gardens, and the house they share with their daughter Grae. Visitors are welcome.